I made another trip to Afghanistan in 1975 to see more of the country than I did while while traveling through the country in 1973. This time I had a camera that did not fail. The 35mm slides were finally digitized in 2010. In 2011 I returned to Afghanistan for work with Internews Network with hopes of adding to my accumulation of photos of Afghanistan. 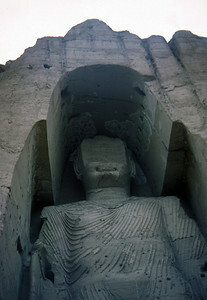 The 1975 photos were the impetus for starting the blog Alas Bamiyan (bamiyan.us) in 2012. This collection of travel photos are some of the same ones found on the blog and other photos that don't lend themselves to the blog format. I hope you will enjoy these images.